CytoSport’s Muscle Milk Ready-to-Drink protein shakes are found in almost every corner store and are very popular with today’s fitness enthusiasts. Muscle Milk contains over 30 grams of protein, making it a great shake for in the morning, night, or the best time – which is right after a workout. Since there are two servings in each bottle, some people like to use the convenient twist-off lid to drink half of the shake between the first two meals of the day, and then finish the other half later between the last two meals. Splitting up your protein shake throughout the day is smart because your body can only handle so much protein at one time before it becomes a waste, and this way your body is being fed protein continuously all day long. 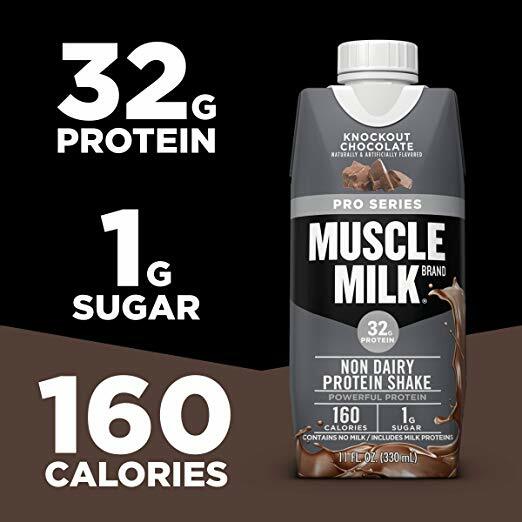 This protein shake contains 320 calories, which may be on the higher end of pre-made shakes.There are still only 13 grams of carbs and less than five grams of sugar. Muscle milk has the perfect macronutrients for anyone looking to put on muscle mass, and with low carbs and sugars, you’ll be able to put on lean muscle. Most people looking to put on mass see the 320 calories as a bonus, because to put on muscle mass you have to be at a caloric surplus, meaning those calories will help you reach your goal. 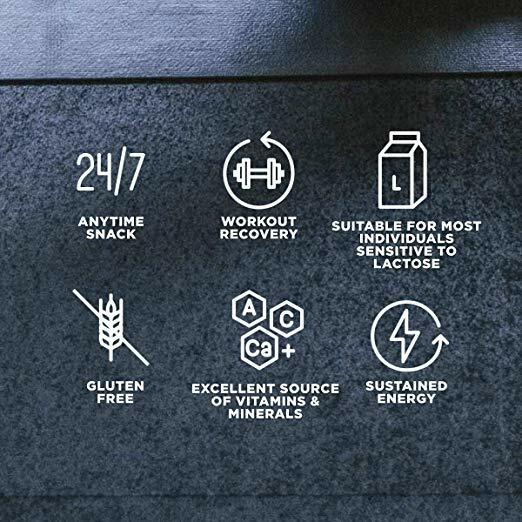 Aside from the macronutrients that this great tasting shake offers, you’ll also get over 35% of your daily vitamins and mineral requirements. You’ll achieve the rest of the 65% of your nutrients from the food you consume, but unlike many pre-made shakes out there, it’s nice to have a protein drink that includes your daily A through E vitamins, plus more. Perhaps the biggest benefit about Muscle Milk is its unique, great tasting flavors. 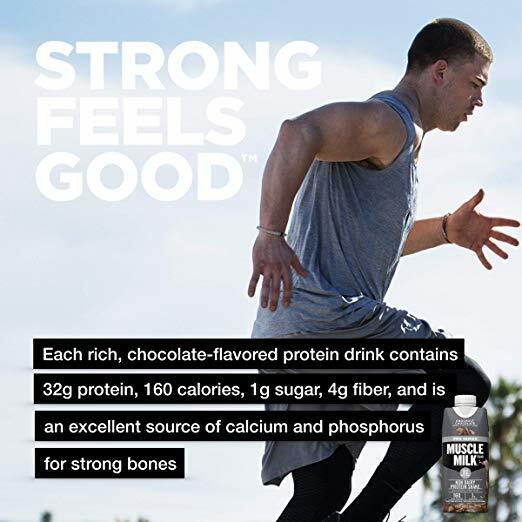 If you’re an athlete who drinks shakes regularly, then you know that the protein shakes can become boring in flavor overtime, and most don’t taste too great. Muscle Milk is an amazing tasting protein shake that comes in six different flavors that anyone can enjoy. If you can’t decide which flavor to get, you should test them out one at a time and figure out which shake tastesthe best. Or go ahead and get the variety mix that has all of their flavors in one package. 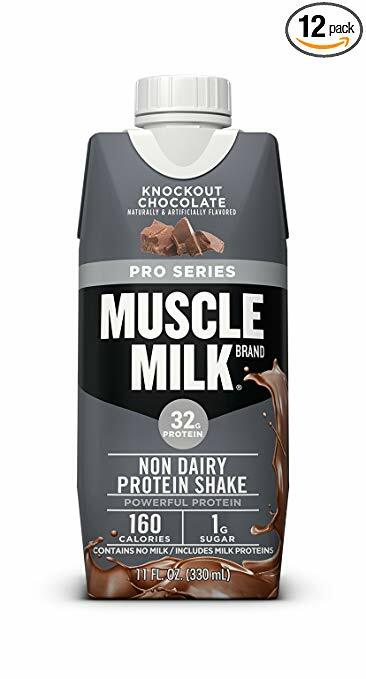 Muscle Milk is a nutrient packed protein shake that’s great for anyone looking to put on lean muscle mass, without the nasty aftertaste and poor consistency of other protein shake brands. Learn How to Get Abs You Love!